Between colour-blocking and feature walls, statement skirting and eye-popping brights, painting the inside (and out) of your home has come on leaps and bounds since the magnolia days – although if neutrals are your thing, that’s fine too! What we really mean to say is that not all paint jobs are created equal, so why should the tools for the job be? We’ve rounded up the best paint brushes for lots of coverage, detailed work and more, so that you can find one to fit the decorating task at hand. For more advice and inspiration, browse our decorating hub page. Think it might actually be a roller that you're after? Shop our pick of the best paint rollers. 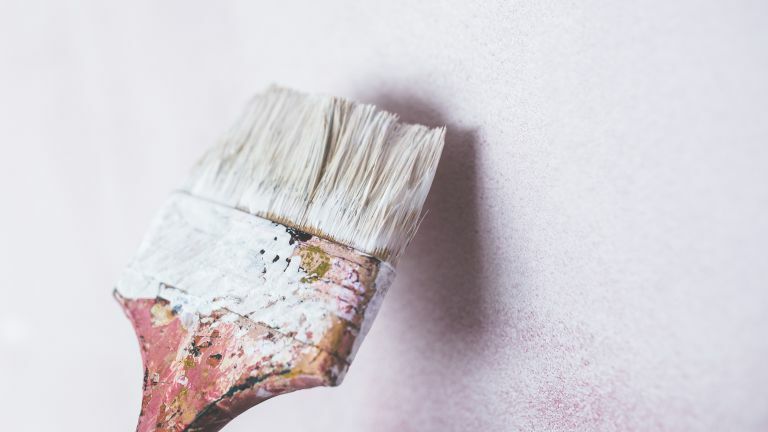 If you’re relatively new to DIY, it might surprise you to know that different types of brushes are intended for use with different finishes of paint. For example, water-based paints require a paintbrush with synthetic bristles, while solvent-based paint is better applied with a natural bristle brush. We’ve noted down the compatibility for each of our picks to help eliminate the guesswork. Another tip is to use an angled brush for small details such as window frames and sills, as these will allow you to get into every nook and cranny. Finally, it’s worth noting that natural bristle paint brushes take some time to break in for best results, so if you’re only buying for a single job, or infrequent small ones, synthetic may be a better option. With that in mind, keep reading for our roundup of the best paintbrushes and rollers. Reviewers said these paint brushes made cutting in superbly easy with their ability to give a crisp, clean edge, so if you’re planning on starting a big painting project, it’s worth picking up a pack of these to start the job off on the right foot. Screwfix customers cite them as the best they’ve used for oil-based, water-based paints and even varnish, saying the synthetic fibres glide beautifully and give an even finish with no marking or dragging. By all accounts, simply excellent all round. A greater starter kit that will fulfil most of your painting needs, this Harris Contractor Soft Tipped Paintbrushes Set is suitable for all paints, stains and varnishes and comes with a lifetime guarantee, subject to correct care being given to preserve the brushes. While this set of brushes are particularly recommended for use on walls, doors, ceilings, door frames and skirting boards, they can likely tackle most painting needs. Their ability to pick up and release paint with ease also means fast and even coverage. A narrow square-ended brush like the above can be a great thing when it comes to detailed painting work, but some people just feel more comfortable with pointed paint brushes, and we have to say, they can’t be beaten for a responsive feel. With that in mind, we present the Axus Décor Pointed Precision Brush Set, highly recommended by pleasantly surprised reviewers for windows, doors, fireplaces, frames, skirting boards and anywhere you want a sharp line when cutting in; they said they flowed well and kept their shape while in use. If you're painting your home's exterior, the Hamilton Performance Masonry Brush is the brush for you; particularly if you're looking to complete your task in as little time as possible. With a hard wearing mix natural bristle and polyester bristles, as well as a rust resistant, stainless steel ferrule, this masonry brush is designed to withstand the outside and achieve a smart looking finish. The tapered filament bristles on this angled paint brush, not to mention the angle itself, make for an ultra-precise finish on tricky corners and recesses, making this one of our best brushes for painting window sills, skirting boards, architraves and the like. Reviewers said using a brush specifically made for cutting in made all the difference, and that this one in particular was impressively easy to handle, quick to cover, quick to clean, and comfy to handle, especially for the bargain price. Find out how to cut in when painting a wall or ceiling in our guide. Looking for more paint ideas, advice and inspiration?